After years of steady decline, the percent of Detroit children testing for elevated levels of lead has risen in three of the past four years. Although there are many factors, a city report links at least some of the increase to 13,000 home demolitions over this period. Click on each ZIP code to see the percent of children who tested for elevated lead levels over four years. The color code below shows 2016 rates. The city has razed nearly 13,000 homes since Mike Duggan was elected mayor in 2013. Over that time, the percentage of children 6 and younger with elevated lead levels rose from 6.9 percent in 2012 to 8.7 percent in 2016, state records show. Federal guidelines recommend intervention for any children that age with blood lead levels above 5 micrograms per deciliter. Experts and studies warn there are many reasons for the increase, but the Detroit’s Health Department in February found a link between lead poisoning and housing demolitions, which can spread fine lead dust from house paint into the air that gets into the lungs of young children. Elevated lead levels in blood have been associated with a host of health problems from developmental delays and headaches to anemia and behavioral problems. “Further protections are necessary to mitigate the potential harm for high-volume demolition,” the report read. For years, city officials downplayed the health risk of demolitions, contended Dr. Abdul El-Sayed, the city’s former health director, who left the post in mid-February and is now a Democratic candidate for governor. “There’s a lot that needed to be done and wasn’t done,” El-Sayed told Bridge. “No city has demolished as many homes as Detroit, and when that happens, there’s an even greater need for safety." Abdul El-Sayed, the city of Detroit’s former health director, says city officials were slow to realize the threat to children posed by its aggressive demolition program. Before resigning, El-Sayed said he commissioned a Health Department study of the demolitions. The report found that 2.4 percent of all children in Detroit with elevated lead levels “may be attributable to demolitions.” That would be roughly 50 young children a year since the start of the demolition blitz, or about 200 total. The number is likely higher because fewer than half of the city’s youths are tested for elevated lead. “That’s an increase that can be prevented,” said Dr. Eden Wells, Michigan's chief medical officer, who worked on research when she was employed at the University of Michigan about the health impacts of demolitions. The report has remained little noticed outside City Hall. Bridge learned of it while reporting new statewide data showing that lead levels among Michigan children rose slightly in 2016 for the first time in years. Detroit’s current health director, Dr. Joneigh S. Khaldun, said the city is moving aggressively to mitigate risks. In an interview Monday with Bridge, she said the city is unveiling a text message service on Wednesday that allows residents to enter their address and receive updates about planned demolitions nearby, as well as safety tips. Khaldun noted that leaving blighted homes standing also threatens public health. “It’s a matter of risks and benefits,” she said. “If we can do the demolitions in the safest way possible, then it’s valuable” to continue them. Lead is an issue throughout the United States, particularly in older cities with homes built before 1978, when the use of lead in paint was outlawed. More than 90 percent of Detroit’s homes were built before then. 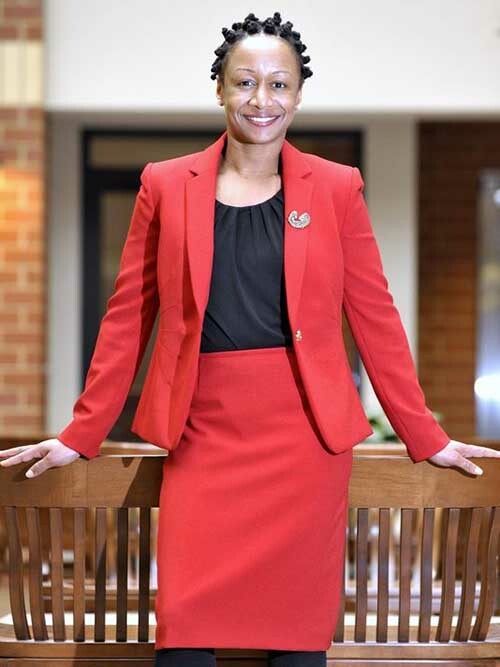 Dr. Joneigh S. Khaldun, the city of Detroit’s new health director, says the city has moved aggressively to mitigate risks posed by demolitions once they were known. The Health Department study of 50,904 Detroit children found that living within 400 feet of a demolition increases the odds of elevated lead levels by 20 percent; and those odds increased by 38 percent if there were two or more demolitions nearby. Since 2013, an average of 2,000 children annually test positive for elevated lead levels in Detroit. Besides administrators, the city’s Health Department has a total of six staffers working on the issue, records show. The Health Department report recommended 18 policy changes and safeguards to lower the risk of elevated lead levels. Nine months later, eight have been fully implemented, while the city told Bridge this week that several more are in the works. “When we dug into it, we found there was a lot more that needed to be done,” said El-Sayed, who said his resignation in February as city health director was unrelated to the release of the report. The city has always been concerned about safety, said Brian Farkas, director of special projects for the Detroit Building Authority. Farkas said the city has altered demolition procedures and held contractors accountable since Duggan took office. Unlike asbestos removal, he said, there are no federal protocols to reduce the spread of lead during demolitions. The city conducted a study of the issue as soon as it had enough data to do so and has worked “aggressively” to reduce risks, he said. “This narrative that we got these recommendations and sat on our hands is completely false,” he said. Farkas added that removing blighted homes also reduces murder, arson and a host of other crimes. The revelation of elevated lead levels is the latest problem for the demolition program, the signature effort of Duggan’s first term (he was elected to a second term last week). The program is now the focus of a grand jury investigation into the contracting process. State environmental regulators, meanwhile, have criticized the city for a “lack of oversight” of contractors and are pushing for fines, alleging they mishandled asbestos released when older homes are bulldozed. News of the study on higher lead levels comes just weeks before a team from Wayne State University prepares to launch a pilot program in the 48214 ZIP code on the city’s east side to notify neighbors within 400 feet – about eight homes – that a house is about to be demolished and take precautions, such as closing windows or staying inside. Nearly 17 percent of children in this neighborhood have elevated lead levels. The area has some of the oldest homes in the state, with 85 percent built before 1970. Since 2014, 352 homes in the ZIP code have been demolished, city records show. The city already has changed several policies for contractors, including requiring them to douse attics of homes with water for five minutes before demolitions to reduce clouds of fine lead particles that could harm children. The city had required them to hose off the house before and during the demos. Other efforts – including the text alert system and yard signs warning of the dangers – are about to be rolled out, city officials say. “Look at the studies nationally: What you’ll find is a huge amount of evidence that lead dust from demolitions has a huge impact on elevated lead levels. There’s very little doubt about the subject,” said Lyke Thompson, director of Wayne State’s Center for Urban Studies, who is leading the school’s door-knocking effort. Before the blitz began, studies in Chicago and East Baltimore warned that demolitions create clouds of dust that could lead to elevated lead levels, and advised that cities notify neighbors to keep windows closed. Farkas said Detroit officials were aware of the research and concluded “advance notification of residents” was the highest priority, so those were the first Health Department recommendations to be implemented. “We’ve had to develop technologies from the ground up, and we’re able to do that now and you’re going to see more and more advanced technologies rolled out,” Farkas said. 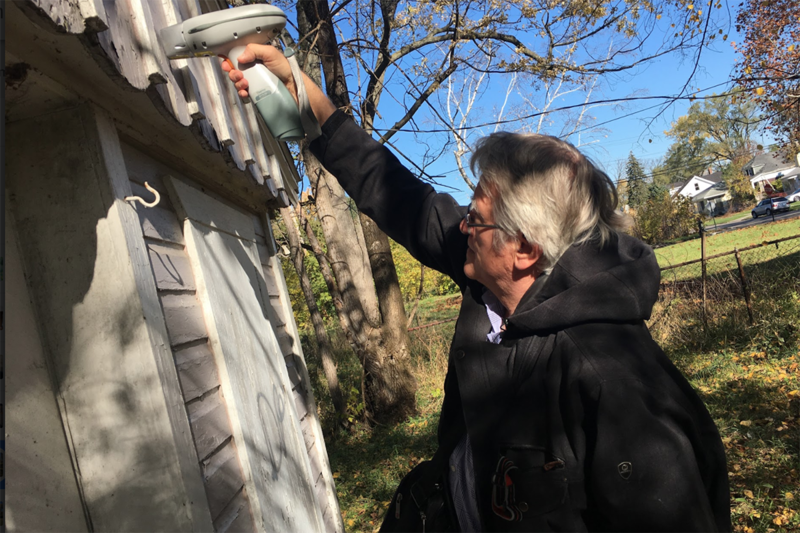 Experts cautioned there may be numerous reasons for the increase in city lead levels, including offering more lead tests to children in ZIP codes in vulnerable areas. Overall, the number of children tested in Detroit has actually decreased to 25,395 last year from 28,700 in 2012. “It’s how you interpret the data,” said Khaldun, the city’s new health department director. Indeed, demolition and lead rates in the city don’t always align, a Bridge analysis shows. ZIP codes with the most demolitions do not have the greatest percentage of children with elevated lead levels, while ZIPs with the highest lead exposures were not among those with the most demolitions. El-Sayed said the city’s old housing stock and temperature swings during the summer contribute to the increase, as families open and close window panes painted with lead. What’s more, the focus on the city’s demolition efforts is typically in distressed neighborhoods with older houses whose occupants are more likely to be exposed to lead paint inside their own homes, said Mary Sue Schottenfels, director of CLEARCorps, a Detroit nonprofit that administers federal lead home mitigation efforts. In those cases, it’s often difficult to determine the source of elevated lead levels, she said. 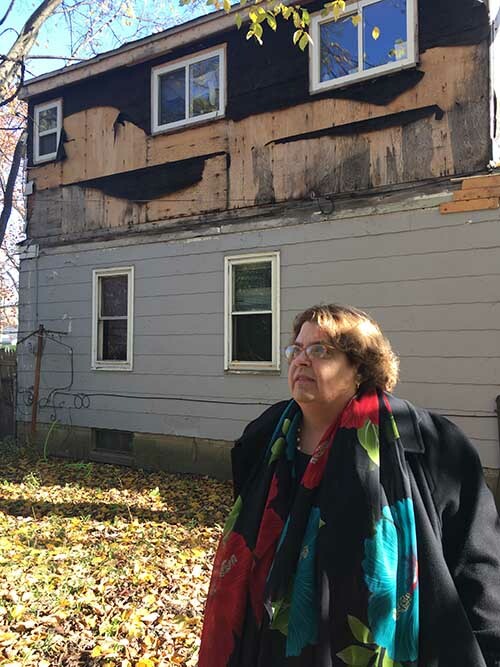 “Demolitions are probably one piece of the puzzle, but the level of deterioration is a big factor,” said Schottenfels, whose group is involved in the lead notification pilot program. Across Michigan, elevated lead levels among children fell from 19 percent in 2004 to 3.4 percent in 2015, state records show. The rate ticked upward in 2016, to 3.6 percent. In Detroit, some neighborhoods had elevated blood levels of more than 60 percent in 2004. The number of children with elevated blood levels in the city has decreased by more than 50 percent since 2009. Nevertheless, Detroit remains the center of concern of childhood lead poisoning. Of the 12 ZIP codes where 10 percent of children or more tested for elevated lead levels, nine are in Detroit; two are in Grand Rapids and the other covers much of central Kalamazoo. The city of Flint, meanwhile, has been the focus of international scrutiny on lead exposure triggered by a switch to the Flint River for the city's water supply. Flint has lead levels just above or below the statewide measure of 3.6 percent. The highest in Flint is 3.9 percent in 49503 ZIP code. Rising rates of lead exposure were triggered by a switch to the Flint River for the city's water supply, sparking a scandal that is still unfolding. Her group removes lead paint from homes, changes windows and adds siding to about 100 families per year. At any time, it has 300 applicants waiting for the service that can take a year to process. They include the 2-year-old son of Christina McFarland, 30, who lives on Montrose near Plymouth on Detroit’s west side. Last year, 5 percent of children tested in her neighborhood had elevated lead levels. McFarland bought her small bungalow last year from her landlord for $3,100. Its windows tested positive for lead, as did her garage. They will be replaced early next year. McFarland said she isn’t worried about her son. She had lead poisoning as a child as well, and has faith he will be all right because his blood levels were caught early. Some studies show that foods that are rich in Vitamin C, calcium and iron can reduce lead levels. “My son is an awesome-sauce kid,” said McFarland, who has two older children. Schottenfels said she’s concerned that more isn’t being done to combat elevated lead levels in Detroit and Michigan. Nationwide, some 500,000 children have elevated levels. Wells, who helped research a University of Michigan study into lead and demolitions in Detroit, said lead poisoning has been reduced nationally through big changes such as removing lead from paint and gasoline. To further improve, “we’re needing to get to these discrete issues” like demolitions, Wells said. 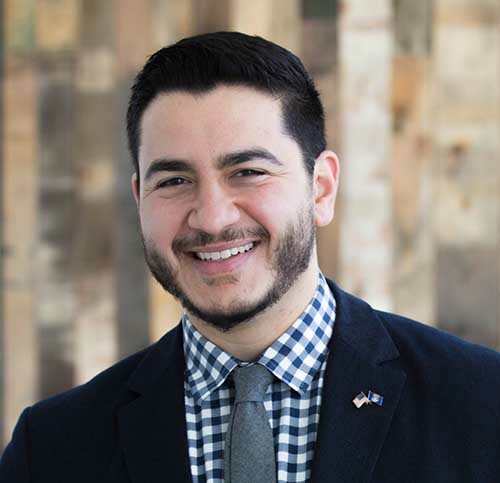 El-Sayed, who has criticized other Duggan policies since his resignation, said he tried to sound the alarms. “Look, we did our best to get city officials to pay attention to this issue,” he added. Farkas, the Detroit official who oversees demolitions, said the city has been above-board about the risks and a task force meets regularly to reduce them. “This is what good cities do,” he said. Text your address to 313-254-3366. The service returns a list of home addresses set for demolition and when they are scheduled. Residents can then text the word “HEALTH” to learn how to stay safe, and “ADD” to subscribe to alerts whenever more demos are scheduled. I am a Lead certified remodeler and work for a large lead certified contractor. Since the lead laws went into effect, I have had one potential customer come right out and tell me he would not do a siding job that desperately needed to be done, due to the cost of remediation (about $400). It was a 1940's tenement with peeling lead paint, and babies in diapers crawling around in the paint chips. He told me, "all the law says I have to do is warn them". After spending $68,000 to scrape and replace dirt around a similar structure (we were using lead safe procedures, the paint had been falling for many years before we got there, but it was cheaper for us to clean it up than to fight) we will no longer take jobs where there are paint chips on the ground. This is the type of neighborhood where there are many demolitions happening. In this type of neighborhood, it is not surprising to find elevated lead levels. But it begs the question, is it the demolition, or the severe lack of maintenance that is driving up the lead levels? Does the fact that you are starting to get contractors who do it right turning down work due to the liability add to the problem? We are now using lead safe practices where I am 99.9% certain there was never any lead, and you have reputable contractors (like ourselves) turning down work because the liability for what is already there is too high. Homrich worked at breakneck speed to do the water shut offs and the demolitions. The media kept it under wraps, except when it praised the demos. Hardest Hit money, which was meant for mortgage foreclosure relief, was used instead for demolitions. Why? Because there are few kickbacks from homeowners who were able to keep their homes. The demolition contractors would get overpaid and Duggan would get his cut. Now we face a housing shortage and lead poisoned population. This is what happens when we have no governance. You say this as if it were fact. It is mere speculation on your part. Take a look at the history of the Federal funding program, and you will see the decisions on how to use the money were made before Mike Duggan became mayor, and also were made at the state and federal level, not the local level. We can debate the role that demolition plays in elevated lead levels, but please...don't engage in speculative character assasination. How very Trumpian. "ZIP codes with the most demolitions do not have the greatest percentage of children with elevated lead levels, while ZIPs with the highest lead exposures were not among those with the most demolitions." Looking at that quote from the article, is there a definite correlation or not? If not, why make it sound like there is? I still hear people complaining that demos aren't moving fast enough. What's the real non political solution or is there one? Thanks for your comment. The study found that living near a demolition increased the likelihood of elevated lead levels + found that 2.4 percent of the city's annual 2000 new lead cases may be attributable to demos. The #1 cause of lead, though, still is living in a home with lead paint.